Tofana descends down a steep drop that has racers reaching speed of up to 85mph within four seconds. Cortina has a number smallish of ski areas, which are generally a fair distance from Cortina's town centre. Tofana has 47km of pisted skiing, spread over 30 pistes; the highest of which is reached by using the cable cars which start near the ice rink. Pomedes is accessed by the first cable car from the ice rink, followed by a blue piste, or by a tricky black piste from Tofana, or by taking a bus to the chairlifts at Socrepes followed by a further succession of chairlifts.Socrepes is a bus ride from the town centre. Other areas are reachable by road – in particular the road west over Passo Falzarego. First, there’s the scenic Lagazudi, Cinque Torri ski area (11 pistes, 29km), the two areas have recently been connected by the Averau Troi Lift. Excellent north-facing cruising runs are accessed by a fast quad, followed by a double chair. From the top, you can go over the ridge to a sunny, panoramic red run on the back of the hill or to a chair which accesses another red run to the tiny – north-facing – Col Gallina ski area. From here you can take a blue back to Cinque Torri or a cable car from Passo Falzarego up to Lagazuoi that serves an excellent red/blue run back to the base station and accesses the famous ‘hidden valley’ run to the fringe of the Alta Badia area. 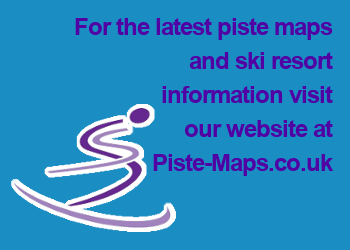 30 pistes, 6 black runs, 12 red runs, 13 blue runs and 6 green runs, with a total of 47 Km. Socrepes Ski Area on the western side of Cortina, about 2km from the center of town, on the road to the Falzarego Pass. 11 pistes (5 red runs, 6 blue runs) with a total of 29 Km. The 5 Torri Ski Area was recently connected to the Falzarego Pass by the Averau Troi lift. A cable car ride of a few minutes takes you from the Falzarego Pass to the Lagazuoi Refuge (2.500 m), from where you can admire the Marmolada, the Sella group, the Civetta, the Pelmo and the Tofane. The Great War Ski Tour goes along the Dolomite front and skirts the Col di Lana. The area boasts 12 mountain refuges and refreshment areas. 2 Chair lifts, 1 ski lift, 1 cable car. Chair lift A.A. 5 Torri. From the beginners’ slopes of the lower area you can quickly reach the technically very demanding pistes such as the Canalone and the famous Schuss. The Freccia nel cielo cable car takes you up to a height of 2.500 m to the Ra Valles area. If you take the Skitour Olympia route, you can venture onto the unforgettable peaks of the 1956 Olympic races, which today host the Women’s Skiing World Cup. There are 15 mountain refuges and restaurants in the area..
9lifts for 40 km of pistes. 4 chair lifts ad agganciamento automatico, 4 chair lifts ad attacco fisso e 1 ski lift. Chair lift Baby raggiungibile con tapis roulant, vertical drop 34,30 m.
Chair lift di Socrepes quadriposto, vertical drop 169,90 m.
Chair lift Roncato - Socrepes (Ra Fréza), vertical drop 70,95 m.
Chair lift Olimpia, quadriposto, vertical drop 209,20 m.
Chair lift Tofana Express, vertical drop 278,20 m.
Chair lift Piè Tofana, vertical drop 427 m.
Chair lift Pomedes, 30 m vertical drop 212,28 m.
Ski lift Col Gallina 3. Snowpark: 500 metres long and divided into two areas based on level of difficulty (locality of Socrepes). 4 Chair lifts and a triple cable cars. Triple Cable cars: Cortina-Col Drusciè, Col Drusciè-Ra Valles, Ra Valles-Tofana, vertical drop 1975 m.
Chair lift Col Drusciè, vertical drop 329 m.
Chair lift Ra Valles, vertical drop 265 m.
Chair lift Cacciatori, vertical drop 157 m.
Chair lift Bus de Tofana, vertical drop 365 m.
There are pistes of all levels of difficulty, all with a marvellous view over the Ampezzo Valley. The “Forcella Staunies” chairlift in the Cristallo range takes you to an altitude of 2,930 meters. The Mietres ski-area is specially adapted to children with its selection of gentle runs winding through the woods. Here you can also find a fabulous, dedicated sledge-run, popular with children of all ages! There are 12 mountain refuges in this area. 2 Cable cars, 5 chair lifts, 1 ski lift. Cable car Cortina-Mandres-Faloria, vertical drop 893 m.
Chair lift Girilanda-Tondi 1 and 2, vertical drop di 325 m.
Ski lift of Tondi, vertical drop di 134 m.
Chair lift A.A. Alpe Faloria-Tondi "Vitelli", vertical drop 340 m.
Chair lift Rio Gere-Pian de Ra Bigontina, vertical drop 67 m.
Chair lift A.A. Pian Bigontina-Costa Faloria, vertical drop 313 m.
Chair lift Rio Gere-Son Forca vertical drop 532 m.
Chair lift Valgrande-Forcella Staunies, vertical drop 733 m.
Chair lift Padeon-Son Forca, vertical drop 208 m.
1 ski lift, 2 Chair lifts. A dedicated sledge-run and 6 ski runs. Ski lift Guargnè, vertical drop 28 m.
Chair lift Guargnè-Col Tondo, vertical drop 136 m.
Chair lift Col Tondo-Mietres, vertical drop 276 m.
Decent amounts of natural snow are the key factor – not only to provide plentiful off-piste (which will offer fresh tracks for days on end) but to ensure adequate snow cover on the few black runs that there are (some of which get a lot of sun). They include the excellent Forcella from Tofana to Pomedes: deservedly classified black, it goes through a gap in the rocks, and gives wonderful views of Cortina way down in the valley below. Cortina’s most serious challenge is the Staunies run at the top of the Cristallo area – a south-facing couloir that we have never found open (tougher than it looks from below, warns a reporter). There are short but genuinely black runs below Pomedes and Duc d’Aosta. There are some excellent red runs too, notably at Pomedes and Faloria. It is well worth making the trip to Cinque Torri for fast cruising on usually excellent north-facing snow. And do not miss the wonderful ‘hidden valley’ red run from the top of the Passo Falzarego cable car (see the Sella Ronda chapter). While there are no special deals for beginners, the Socrepes area has some of the biggest nursery slopes and best progression runs we have seen. Points cards are issued by the day too. You’ll find ideal gentle terrain on the main pistes but some of the blue forest paths can be icy and intimidating. Wide slopes and plenty of chairsDespite its upmarket chic, Cortina is a good resort for learning to board. The Socrepes nursery slopes are wide, gentle and served by a fast chairlift. And progress on to other easy slopes is simple because you can get around in all areas using just chairs and cable cars. Boarderline is a specialist snowboard shop that organizes instruction as well as equipment hire. In a normal snow year there is little off-piste, but there are some nice trees and hits under the top chairlift at Cinque Torri. Cortina has around 70km of trails suitable for all standards, mainly in the Fiames area, where there’s a cross-country centre and a school. Trails include a 30km itinerary following an old railway from Fiames to Cortina, and there is a beginner area equipped with snowmaking. Passo Tre Croci offers more challenging trails, covering 10km. A Nordic area pass is available.